Are you looking for a fun game that will improve gross motor skills for toddlers? This game will not only help to improve your toddler’s gross motor skills, it is also fun, super cheap, and super easy to prepare. All you need is some chalk and a sidewalk or cement patio. 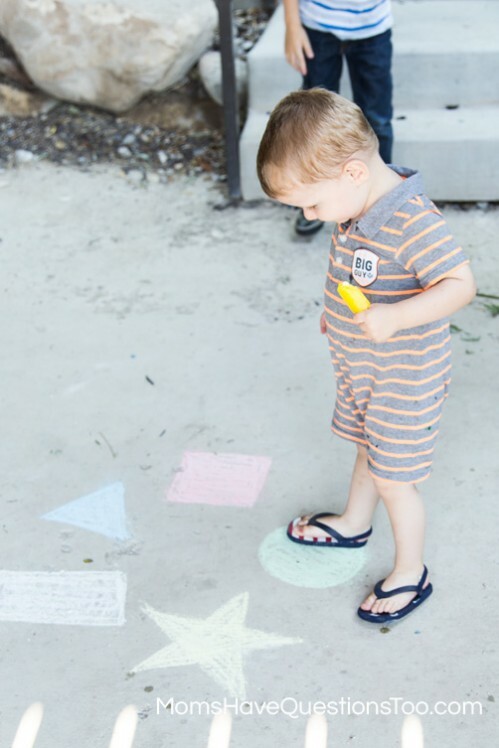 To prepare for this toddler gross motor activity, just draw some simple shapes on the sidewalk or patio. I drew five shapes (circle, square, triangle, rectangle, and star). The shapes are not too big. I didn’t measure them or anything, but they are about 8 inches each. You don’t want your shapes too big and you don’t want them too far apart. Keep them nice and close together. If you play this game with a preschooler, make your shapes bigger and farther apart. Now, bring your toddler outside and identify all of the shapes. Your toddler does need to know his shapes at least a little bit in order to play this game. If your toddler sort of knows shapes, but needs some practice, this game is also great for teaching shapes. If your child doesn’t know shapes at all, you can just do it by colors instead. Explain to your toddler that you will call out a shape and that your toddler will have to jump on that shape. Feel free to demonstrate this for your toddler. Now, call out a shape and have your toddler jump on that shape. Don’t worry if your toddler is really bad at jumping. Most toddlers are. This game is a great way to practice jumping in a fun way. 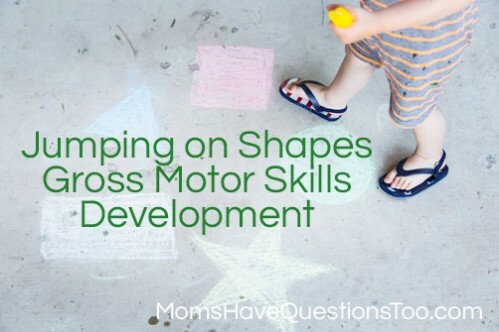 Plus, it’s great for developing gross motor skills. Jumping is one of many very important gross motor skills. The more opportunities you give your toddler to jump, the more gross motor skills development he will get. Both of my kids love this game. If your toddler needs a little extra encourage to play, feel free to invent a prize system (For example, jump on the right shape 5 times and you get a high five). 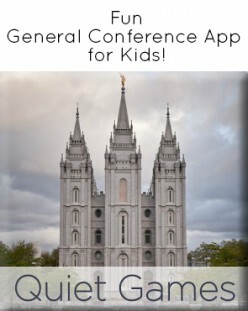 This has not been necessary with my kids, but for some it might be just what they need. 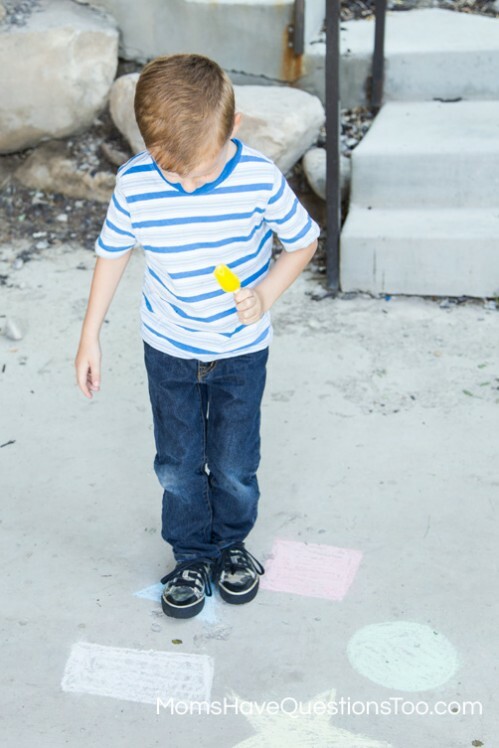 Another bonus of this gross motor skills activity, this game is perfect for summer!